Forget those businesses with a century of customer loyalty and tradition under their belt. They have it easy. You have to market your new business idea with your own merit. Until people are familiar with your business and your products, you can market to those new customers by telling the story of your business. Why did you start it in the first place? Why did your new products or services need to exist? This story can power all of your marketing. You can be jealous of that storied family business, with customers supporting some great-great-great-grandmother’s legacy for over a hundred years, or you can ignore it, and tell your own story instead. You’re just getting started, so tell your customers what made you get started. If they support you, they’ll be supporting you for what your business is doing right now. There’s a good chance that you had a moment when you discovered a problem without a solution. This is the moment you decided to do it yourself, and create a business that solves that problem for other people. It’s as simple as that. Design a marketing strategy around the story behind that moment, and how you progressed to turn that solution into a business. If you didn’t have that moment, maybe you were simply an expert in a related field and wanted to try to build a business on your own, the key is to focus on the problem. Once you find the problem, show that you’ve already discovered the solution: your business. If you wanted organic, homemade, locally sourced ice cream in your area, but couldn’t find it, how did your live change when you started producing the ice cream yourself. How was that first taste of homemade mint chip (the best flavor ever, of course)? The problem your business is trying to solve, the one you had, is the same problem of your customers. There’s a good chance they’re currently experiencing the same frustration that you experienced when struggling to find the solution. Your goal is to present your story through marketing to those same customers, and show that you understand. Instead of trying to focus on a whole audience of potential customers, though, start by focusing on your best customers. If you don’t have any customers yet, then focus on the ideal customer. This ideal customer is likely to be similar to you. Focusing on a smaller subset lets you fine tune your story, your professional website, and the rest of your marketing to speak to the right people in a powerful, valuable way. The place where you tell your story is just as important as the story that you’re telling. Not many people are apt to pay attention to ice cream while walking through waist-deep snow. The same goes for reaching your customers with the right message, at the right time. You have to find the channels where your customers spend most of their time, and then focus your marketing story for that specific channel. For example, if you’ve discovered that the majority of your target audience, your potential customers, researches about ice cream flavors on a review site like Yelp, then you should work to make sure your Yelp page reflects well on your business. Make sure all of the imagery, and text you display are cohesive with the story that you’re telling with the rest of your marketing. If your story is funny, your Yelp page shouldn’t be super serious. Consistency is important when talking to your audience. If that storied business can tout the same story for a century, why worry about presenting your business story as the “new, cutting edge?” The problem that your business solves might not be anything new, like really, really good ice cream, but you can still be original at the same time. Your story is not going to be exactly the same as anyone else’s. You can just tell it honestly. The more specific you can be about your struggles, the better. Did you go through multiple rounds of product development before releasing it to the public? Did you learn something that blew your mind about your industry? Did you discover that your favorite ice cream flavor to eat during the summer is actually peppermint stick? However you arrived at the solutions for your business, show customers that you’re unique, to show that your business, and your products, are just as unique. When you’re just starting out, you don’t have a storied history, or legacy, to power all of your marketing. You rely on what you’re doing right now to help your customers. 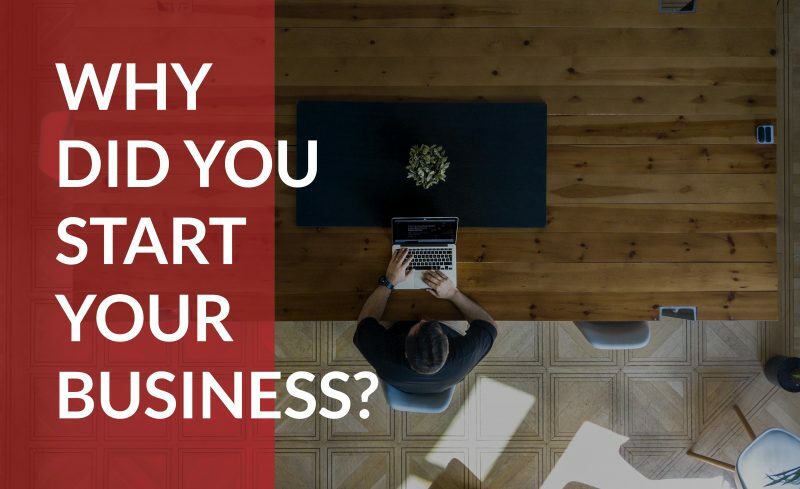 Tell them why you started your business in the first place, so customers can connect with the human story behind the products. We all have a story to tell. What’s yours?